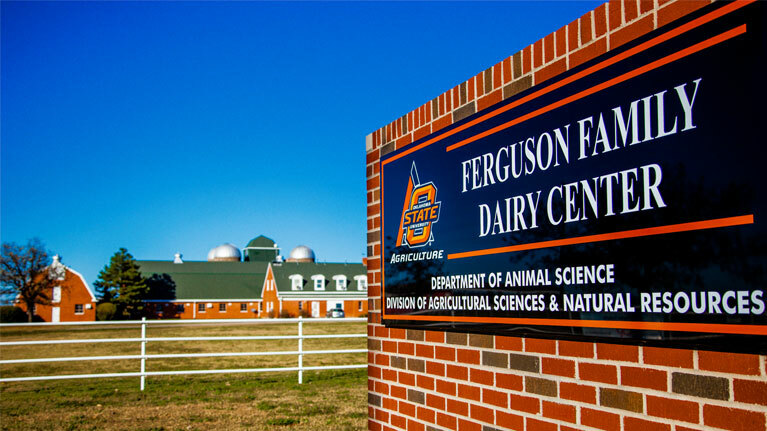 The Division of Agricultural Sciences and Natural Resources seeks to update it's dairy facilities to enhance and advance the important research and teaching taking place at the Ferguson Family Dairy Center. 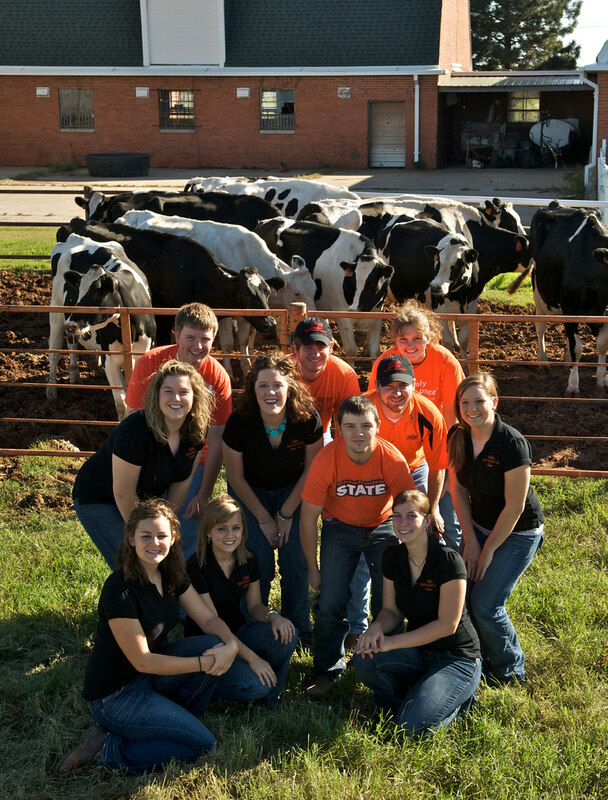 When you support the Dairy, you help shape the future for Oklahoma State University. By contributing to the fund below, you make our future brighter orange! 21-75550 - This operating fund benfits programs through DASNR. 21-78150 - This Facilities Maintenance fund benefits facilities and equipment through DASNR. The farm maintains both Holstein and Jersey production herds to enable and enhance cutting-edge teaching, research and OSU Cooperative Extension programs, and has bred multiple champion animals such as Sooner Givenchy Lillian and her offspring. Continued renovation of the center will help propel OSU’s reputation throughout the nation and particularly the Southwest, a key consideration given a number of once-vibrant dairy programs at universities have ceased operation. 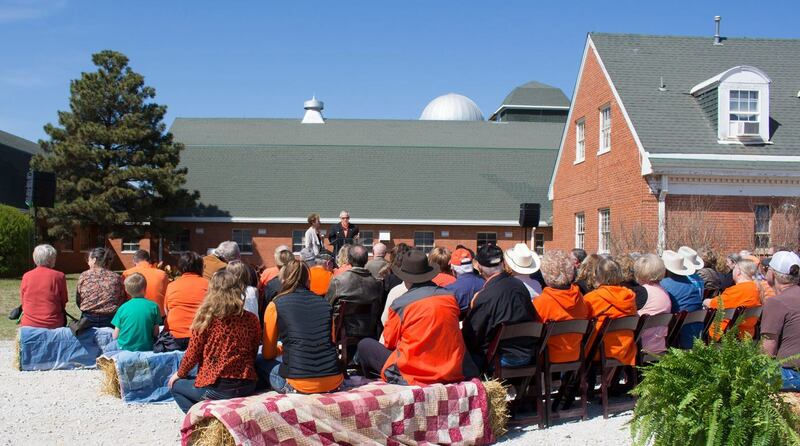 April 5 was a special day for OSU, the Division of Agricultural Sciences and Natural Resources, and the Ferguson Family Dairy Center. Alumni, friends, and representatives from the dairy industry joined us for the grand opening of the Freestall Barn and Helms Hall (new student housing) at the Ferguson Family Dairy Center. A very special thank you to Larry and Kayleen Ferguson along with additional facility donors for making this day possible. The Ferguson Family Foundation commits $2 million to build state-of-the-art barn and renovate the dairy center as well as providing a matching gift opportunity of up to $4 million of additional support. 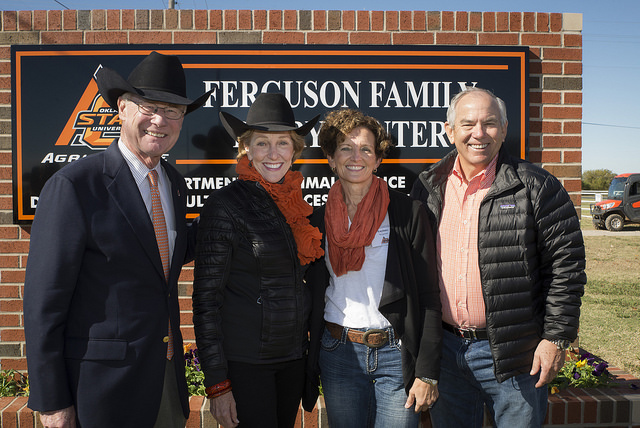 As a result of their giving, the center has been renamed the Ferguson Family Dairy Center. Thanks to the generosity of the Ferguson Family Foundation, your support for these facility can truly be maximized utilizing this matching opportunity. Ongoing renovations at the Ferguson Family Dairy Center directly benefit the regional dairy industry, which has experienced significant recent growth. Renovations are being completed in phases. The first phase has focused on a state-of-the-art freestall barn; Helms Hall, the new student living quarters; and updates to the milking parlor. The next phase will focus on a visitor center and robotic milking system. The freestall barn, completed in December 2017, improves conditions for the dairy herd. The barn includes Insentec individual cattle feeding stalls, a maternity area and a data room. The Insentec system records daily feed and water intake by individual cows, allowing for research possibilities undertaken by faculty, staff and students that was not possible in the old facilities. Helms Hall, the new student living quarters, provides a modern living space and six individual bedrooms. Our students provide our dairy cattle excellent support and care and by extension the viability of scientific studies conducted on behalf of dairy producers and related industries, a very valuable contribution to the center’s mission. Interior naming opportunities are still available. New milking equipment using radio frequency ID tags worn by the cows will communicate with software that tracks milk production. Not only will this enhance ongoing scientific studies, but also enable our students to train on the type of equipment they will one day use upon entering the dairy industry. The next phase planned for the Center includes incorporating robotic milkers at the dairy along with a visitor center to accommodate guests and tour groups. The visitor center and robotic milkers will create the preeminent center for dairy research and education for the southwestern United States. We currently are seeking additional investments to make the next phase possible. Of particular interest is the incorporation of live web cams with potential to reach unprecedented numbers of people, expanding educational opportunities directly or through programs such as Ag in the Classroom curriculum provided through schools and Oklahoma Cooperative Extension Service workshops, meetings, conferences and on-farm visits. Additional naming opportunities are available here. The Ferguson Family Dairy Center provides a path to success for both the dairy industry and today’s undergraduate students who have an interest in dairy, as well as veterinary students, graduate student researchers and faculty from a number of academic disciplines. Undergraduate students in animal science come to OSU from 41 states and three foreign countries, and hands-on learning with high-quality animals raised on a variety of modern farms is a major reason. The new center will help attract top students from around the world to our dairy program. Basic and applied research are the foundations of knowledge and spawn the management and technological advances that allow the dairy industry to adapt to and solve high-priority concerns and issues. Continued success relies on constant innovation. Among the dairy industry’s most valuable resources are its people. 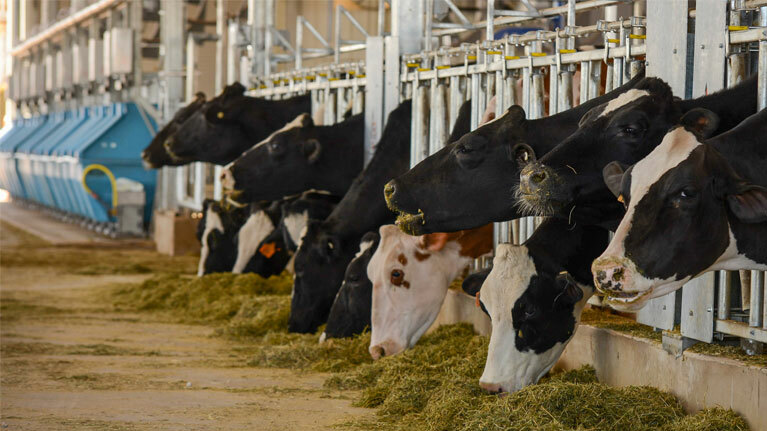 By helping to attract the best students, faculty and staff, the dairy center will enable OSU and Oklahoma to continue as prominent and influential players in the world’s animal agriculture industries. The improved Ferguson Family Dairy Center at OSU provides an exceptional facility for students to learn cutting edge production and management practices through a career building education in the field of dairy science. The new freestall barn improves cow comfort, allows for precision cow feeding experiments and improves milk production in the hottest and coldest times of the year. 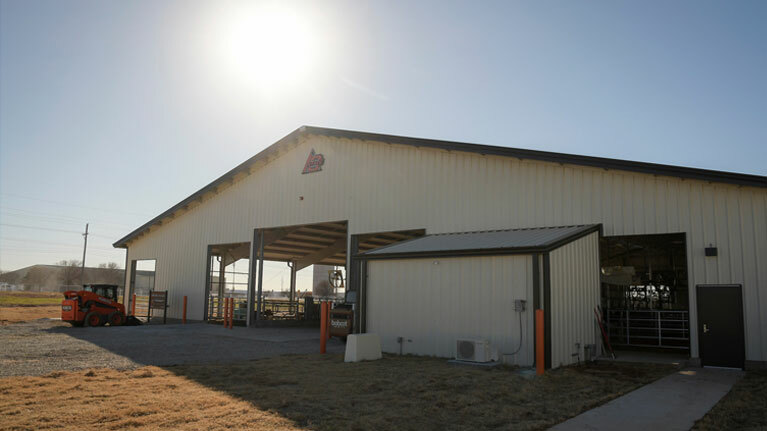 The Insentec feeders and renovated milking parlor allows our scientists to qualify for competitive research grants and increase our ability to solve challenges for Oklahoma dairy producers. The freestall barn, renovated milking parlor and living quarters have a far-reaching and meaningful impact in the lives of young people who desire to make a difference in agriculture and the dairy industry across the state, country and world. The robotic milkers will provide the latest technology to faculty, students and producers. Teaching, research and Extension will be enhanced with this modern equipment. The viewing area with a visitor’s center will welcome the public to learn and experience all the Ferguson Family Dairy Center has to offer including quality care of animals and education on daily dairy production.